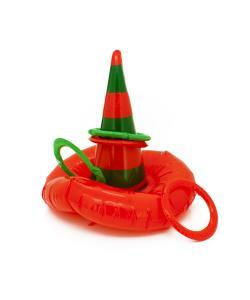 Comes with 4 inflatable rings and 1 inflateable Elf hat. 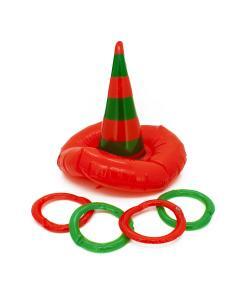 Whether playing for fun or holiday party prizes, this fun inflateable Elf Ring Toss Hat game will have everyone laughing! 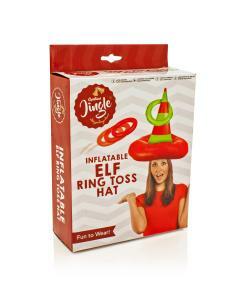 Inflate the Elf Hat, place it onto your head, inflate rings and enjoy the fun!